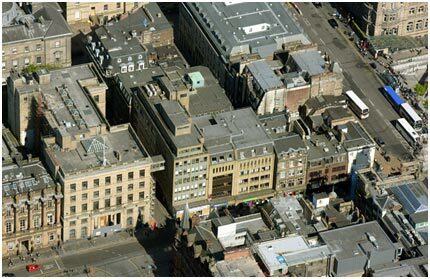 Central Demolition Ltd were awarded the contract for the demolition, soft striping and the asbestos removal works within the former NS&I Bank building at Cowglen, Glasgow. The work is still ongoing but we expect to complete contract by April 2018. 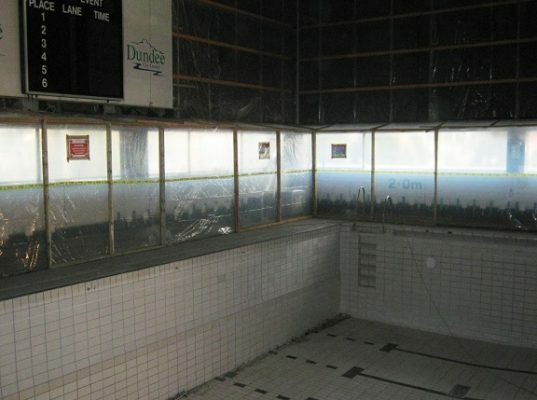 Firstly, the project required extensive preparatory works before the demolition and asbestos removal could commence. 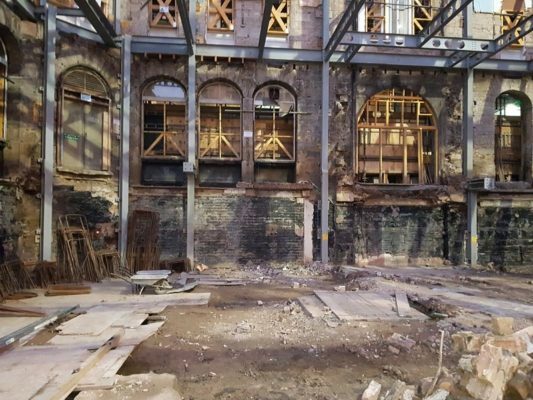 This included, diversion of services, major soft stripping works in which the buildings were stripped right down to the shell. 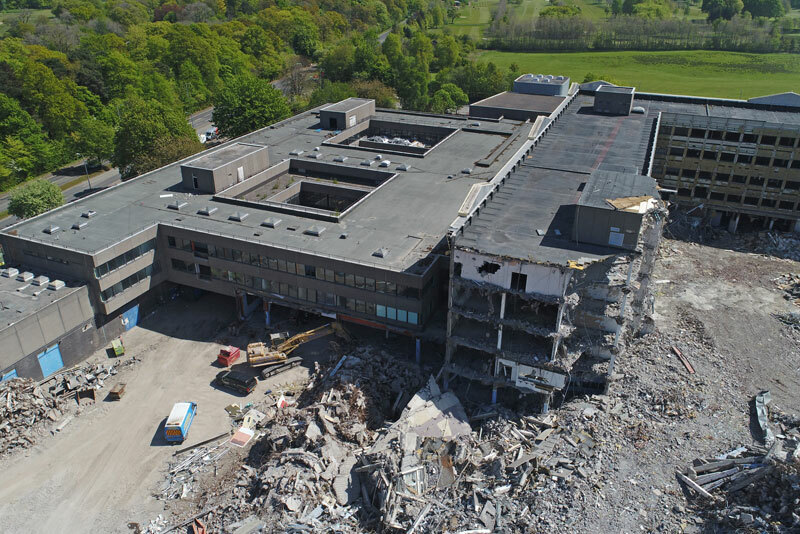 We also removed all cladding from the building before the extensive asbestos removal work which took 18 months to complete. 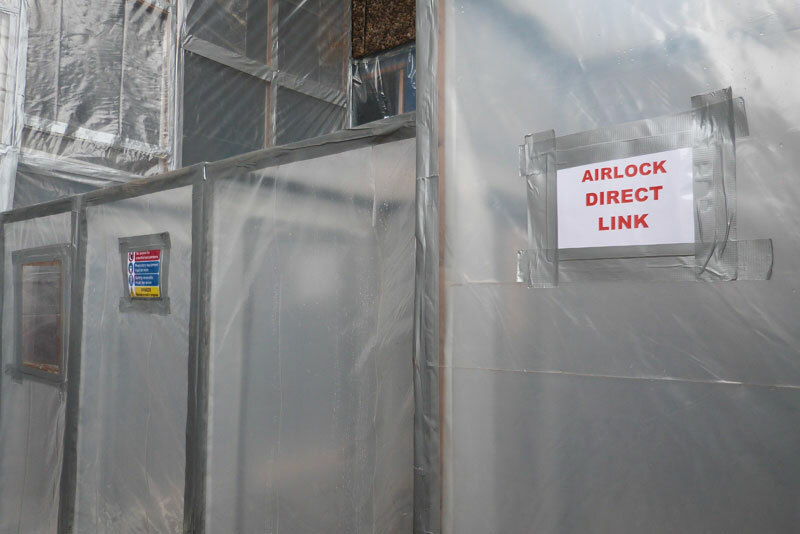 The works involved was licensed asbestos removal of asbestos insulation board found as cladding to columns and beams supporting the building and we also found AIB as inserts below all exterior windows throughout the buildings. 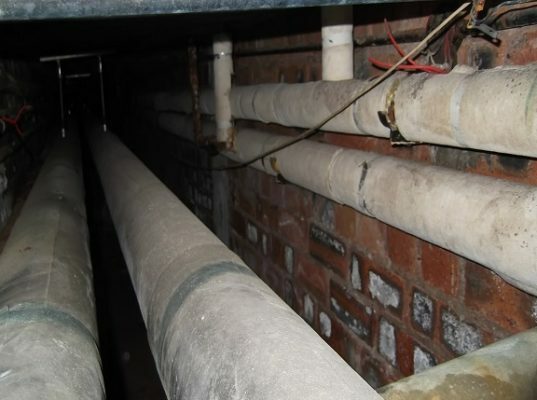 This all had to be removed prior to the demolition works commencing. 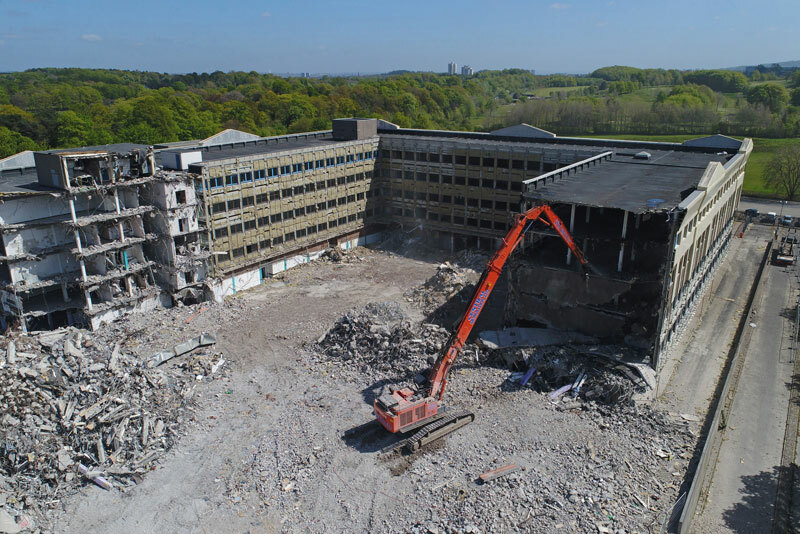 We removed an incredible 250 tonnes of asbestos waste which was responsibly disposed of through our waste management partners. 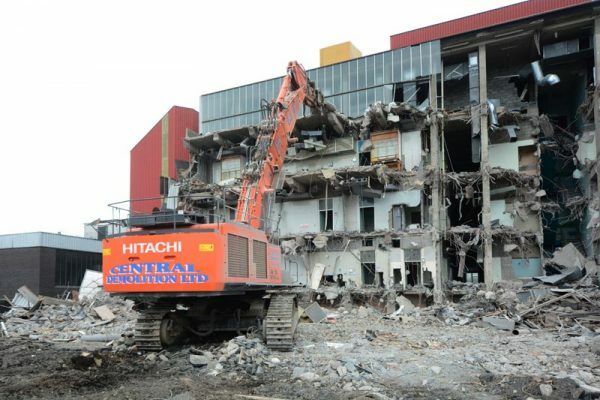 The demolition of the 6-8 storey office block was carried out by high reach machine, the area we demolished was approx. 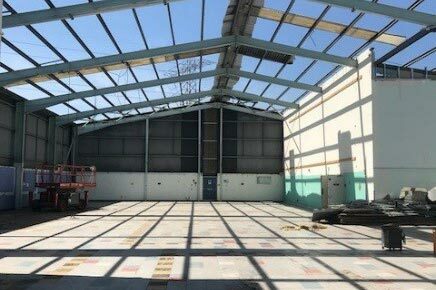 25,000m2 of concrete and steel framed buildings. 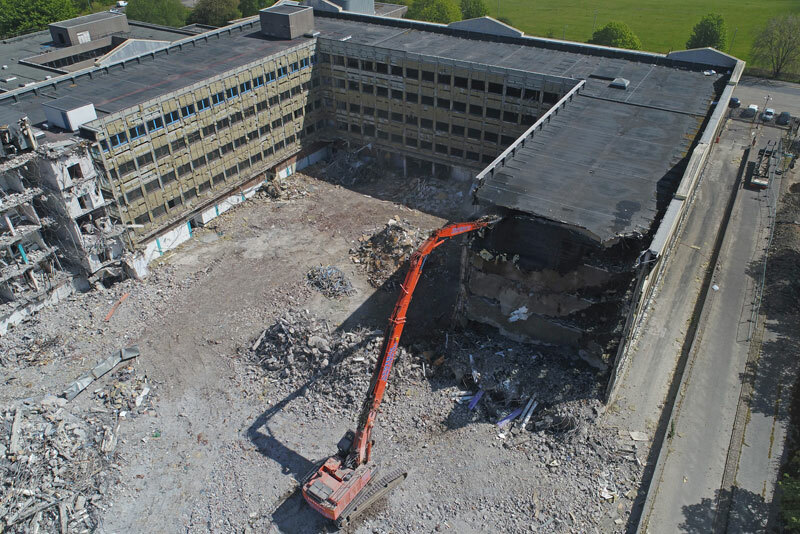 We also removed all the floor slabs and foundations as well as the removal of an underground car park. 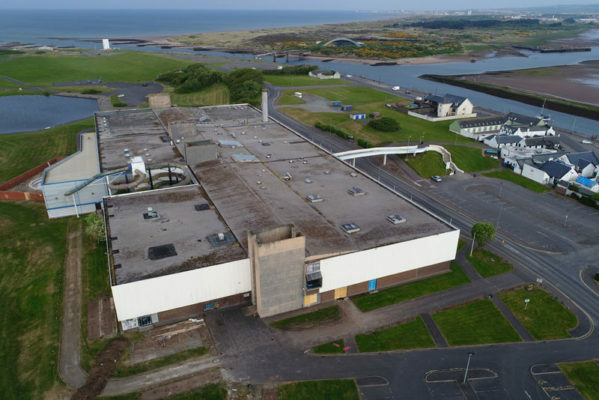 All concrete and brick from the works was recycled on site through crushing plant to produce recycled aggregate for client to use in their development. All non-ferrous and ferrous metals were salvaged for scrap. 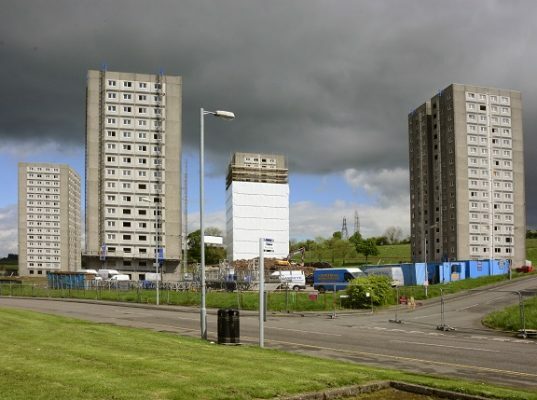 All other materials, excluding asbestos waste, were taken to our Bonnybridge Recycling depot. 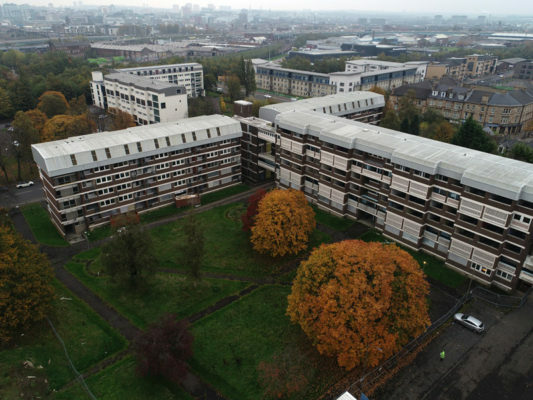 The recycling rate that we achieved for this project was approx. 95%. 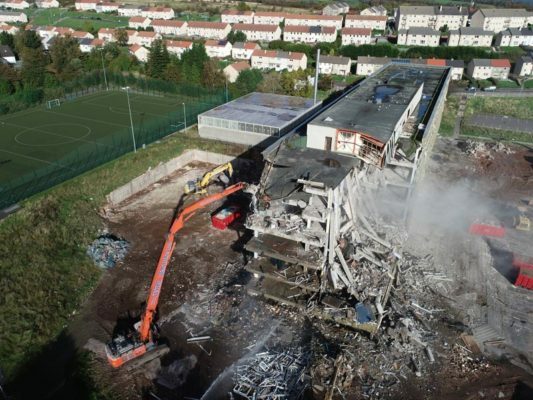 The challenges that we faced during this project was the live Scottish Power substation that was in close proximity to where the demolition works were being carried out. 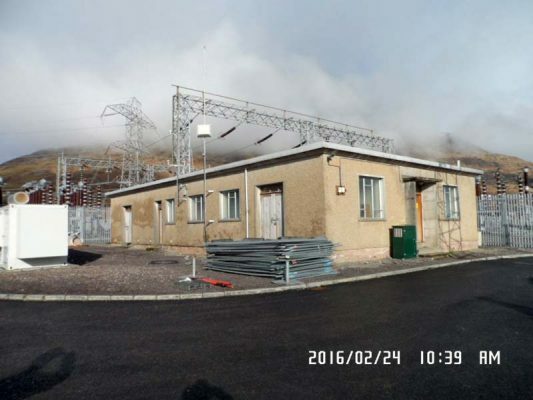 The substation contained live high voltage apparatus that had to be protected and maintained. 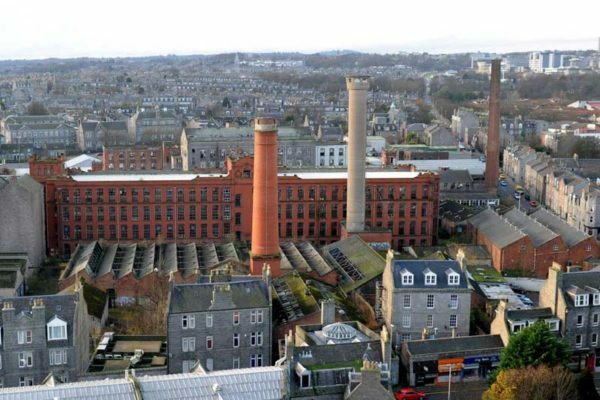 This project was large scale and high profile and we are delighted that we are due to finish on budget and within the agreed timescale and to complete client satisfaction.